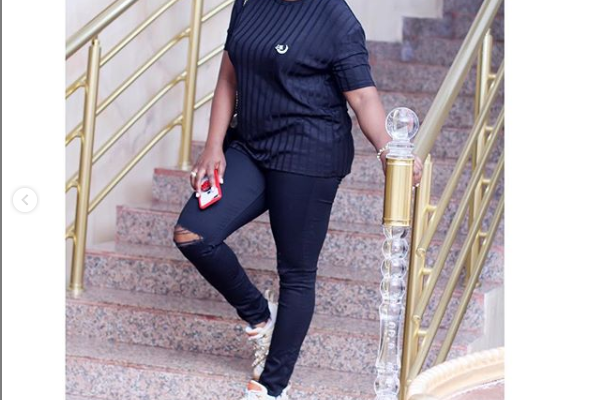 Nollywood actress, Funke Akindele Bello who welcomed a set of twin boys in December 2018, took to Instagram to flaunt her post-baby body in stunning new photos. Funke who is popularly known as JENIFA in her own comic production, JENIFA's Diary welcomed her bundles of joy in a UK hospital. Funke married Nigerian music executive Abdul Rashid Bello in a private wedding in the UK in 2016.